We are known for our collection of ultra rare sea glass from Davenport Beach. The result of Lundberg studios - you can buy my new book (click on the book link) to learn all about this amazing sea glass! We are also known for our high quality craftmanship, amazing sea glass Rings and our exclusive Ocean Window pendants (US Patent/Copyright 2009). We also have a collection of sea glass that comes from many sources and some pieces are believed to be over 100 years old! The combination of surf and sand in the Monterey Bay produces some of the most treasured, worn sea glass any collector can find. This combination gives Santa Cruz Sea Glass some of the most flawless, rarest, one of a kind color combinations found anywhere on Earth. When you purchase sea glass from us, you can be sure to have some of the best sea glass in the world! 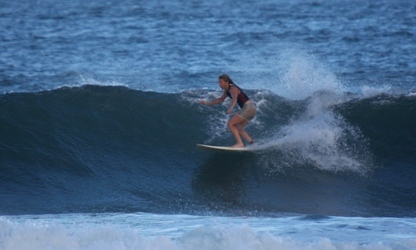 We are a Green company and refuse to use any products not from the USA and make every creation with our own two hand! Amazing pieces of sea glass and ultra high quality craftmanship are what set Santa Cruz Sea Glass apart. Santa Cruz Sea Glass is also a Green company! Green is a relatively new term that can be applied to a business that makes a conscious effort to minimize its carbon footprint in order to promote conservation and environmental awareness. Santa Cruz Sea Glass was started in 2006 with these prinicples in mind. Sea Glass is in essence a recycled material; having once been man made glass that was dumped in the ocean, and ultimately over decades transformed by the sea and sand into beautiful gems that are found along the Ocean shore. Our efforts to maintain Santa Cruz Sea Glass as a "Green Company" extend into every level of our business, from collecting excess trash on the beach to choosing recylced silver and paper. We also make a conscious effort to shop and buy Local. Buying locally helps your local economy! Since most of our sea glass is found in the Monterey Bay Sanctuary, we make a conscious effort to produce and run a company that has very little waste and impact on the environment. It is our way of honoring and preserving such a beautiful place as the Monterey Bay Sanctuary. 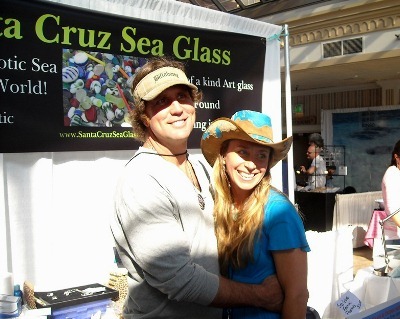 In keeping with that premise we approached the National Marine Sanctuary Foundation and formed a partnership in 2008, which 10% of the admission sales from the Santa Cruz Sea Glass festival goes directly to Ocean preservation.